A bass to take you through your studies. This value-priced fully carved bass is for the player who needs a full, responsive instrument that wont break the bank. 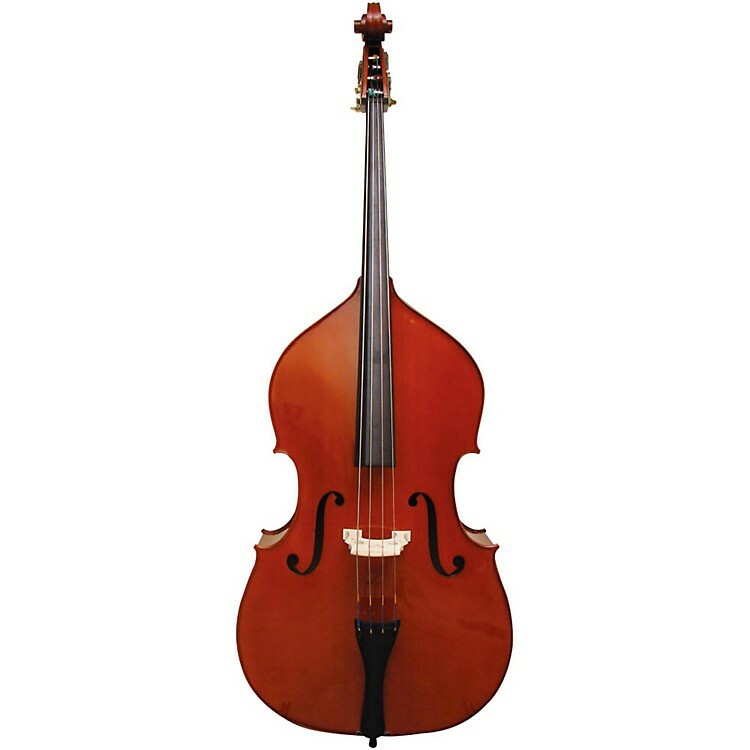 With a long-lasting but beautiful hand-applied finish, this step up bass will help the advancing bass student learn the techniques to get them to that next level. Setup with DAddario Helicore strings, this bass also comes with a protective padded bag. It's time to upgrade. Order today.